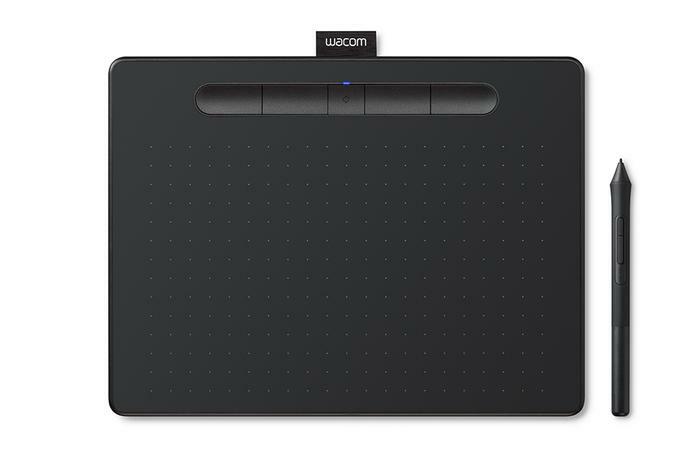 If you’re looking for a solid foundation to build on and a place to start in the digital drawing space, Wacom’s offering is hard to beat. The target user of Wacom’s refreshed entry-level pen tablet isn’t necessarily me - but that’s not to say I can’t try to approach and appreciate what’s on offer here. Good tech is good tech, after all. Even if I have always found that nexus of culture and technology drawing tablets represent super-fascinating, this isn’t necessarily the kind product I’d usually weigh in on. I’m not really someone who’d identify as an artist in any traditional sense and I’m not really even one for the whole drawing thing beyond the occasional scribble. Words usually come to me more readily than images do. With those cards left face-up on the table, it’s worth noting that Wacom are touting the new Intuos as their best entry-level product yet. It’s being pitched as an affordable and accessible starting point for their extensive range of more-advanced drawing tablet products. So, really, who could be better than someone like myself when it comes to seeing how that claim stacks up. As far as art tablets go, the refreshed Wacom Intuos looks the part with ease. The Intuos is a sleek, clean, plastic slate the shade of obsidian. Bearing a quartet of chirpy, rounded buttons along the top-most edge and a grid of white dots indicating the active surface area of the thing, it’s a mostly featureless and minimalist piece of design. In other words: it looks (and feels) more-or-less how you expect a drawing tablet to look (and feel). The biggest differences worth noting here are largely internal and categorical. Wacom say all the new models offer the same active tablet area as previous versions but also manage to do so while carrying both a smaller footprint and lighter weight. 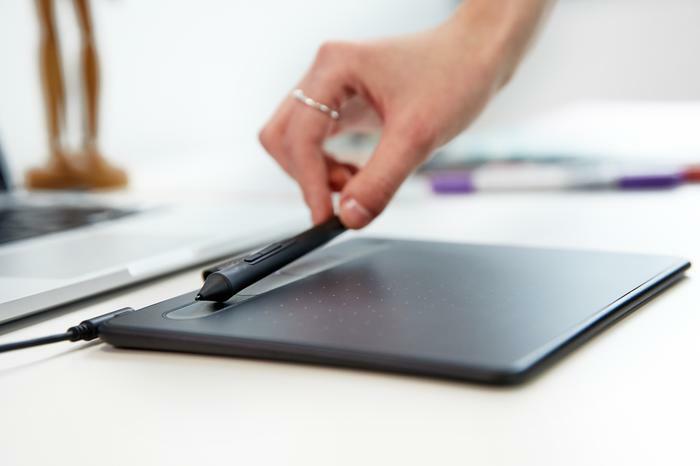 Compared to the previous models, the new Intuos pen tablet range also features built-in wireless Bluetooth integration on select models, two possible sizings and a trio of colour options. This upgrade to form factor is rounded out by the addition of a built-in pen tray, the four “express keys” mentioned above, an LED indicator (letting you know when the tablet is powered up) and a 60% improvement on battery life for the Bluetooth versions of the range. The new Intuos also comes bundled with some free software. 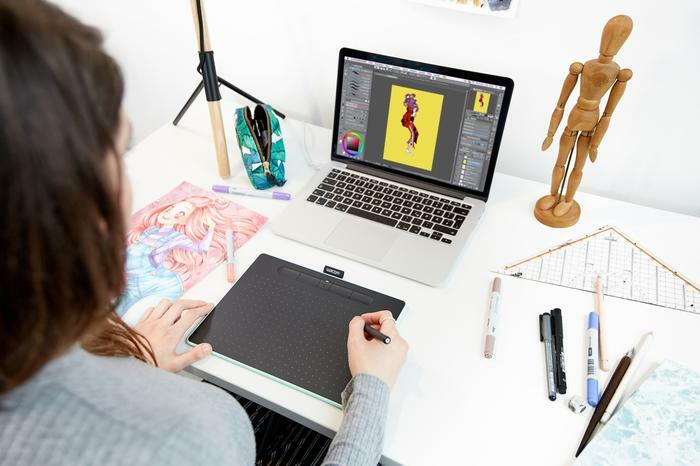 Upon purchase of the new Wacom Intuos, users can download creative software, including Corel Painter Essentials 6, Celsys Clip Studio Paint Pro and Corel AfterShot 3. 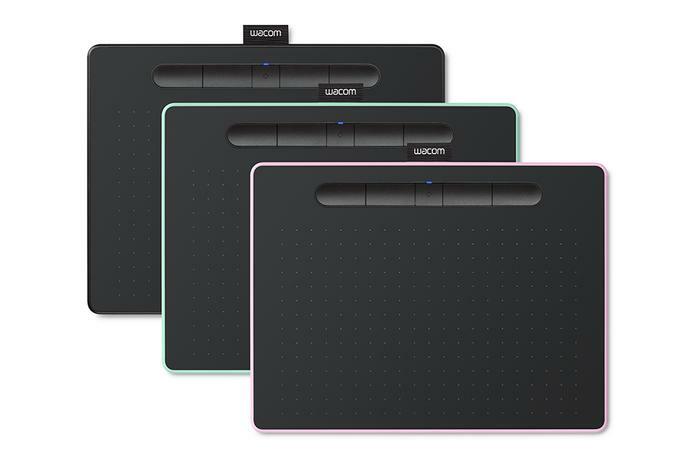 All things considered, it feels like there’s just enough refinement, addition and subtraction happening here to make this the most readily-compelling iteration of Wacom’s entry-level offering yet. In terms of set-up, there’s not much of a story to tell. We plugged the Wacom in, downloaded the drivers, loaded up a compatible program and got to work. The model we reviewed wasn’t one of the Bluetooth ones but, from what we understand, connecting said pen tablet to your PC shouldn’t be any more difficult than it is with a Bluetooth keyboard or mouse. One impression I can share about the Intuos unit we tested was that the buttons on the tablet are particularly satisfying to press. They’re well-sized, smartly-positioned and deliver a nicely-tapered click when used. However, in terms of the actual utility they add, it’s difficult to dismiss the fact that your mileage is going to vary here but as a physical feature - we’re fans. Some software will play nicer than others with them, so your mileage may vary. Still, they do add a little extra something-something. In terms of how it felt to draw on the Intuos, we’ve got nothing but nice things to say about stylus - which felt pretty ergonomic to hold. It isn’t quite weightless but its lightweight enough. It didn’t really feel all that noticeably different in my hand to a regular pencil. Again, I’m a self-professed novice in this area - and my work reflects that - but I will say that drawing with the Intuos was a pleasant and consistent experience. The other major use case that Wacom are talking up here is photo editing. This was a little more my speed. I found that the Intuos was really responsive, accurate and easy to use for this purpose. Still, if you’re an power-user or digital artist looking to take things to the next level, it might not offer quite the finesse you’re looking for - but (for what it's worth) I came away mostly satisfied with it. So far as being an entry-point for pen tablets, the Wacom Intuos holds up nicely. It’s super-easy to set up and use and the new features and bundled software add extra value to the sum total of the package. Perhaps by necessity, it’s worth noting that what you’re getting with the Intuos might not seem all that different from similar and competing pen tablets. However, there’s an unspoken reason that the Wacom brand has endured and carries the cache it does. They have a credibility in the space and a sense of polish to their products that you might not get from a Huion or the like. And when you’re an entry-level user looking for an entry-level product, that credibility and confidence can trump almost any on-paper advantage.